Fully mineralized soil and the food that is produced by such soil is, sadly, rare these days. 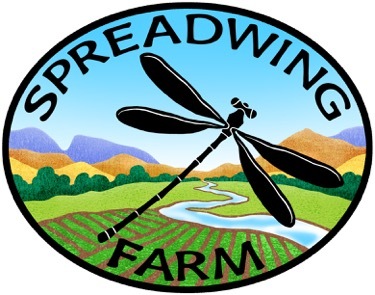 At Spreadwing Farm, we are committed to doing everything we can to bring you exactly that – the most flavorful and nutritious food. Plant foods are only as full of minerals as the soil they are grown in. Soils can be deficient in minerals due to heavy rainfall, poor management or due to the age and composition of the native soil. Here at Spreadwing Farm we are investing now in soil building to increase organic matter and soil mineral balancing in order to maximize the availability of all the nutrients that plants need to produce the most nutrient dense foods. So, how are we accomplishing that? We rely on compost applications and cover cropping to build soil organic matter and carbon in the soil – the residence of the soil food web. And we rely on small applications of minerals (Calcium, Sulphur, Phosphorus, Zinc, Copper etc…) in precise amounts in order to feed that soil food web and the plants that grow in that soil as completely as possible. Additionally, we apply micro and macro nutrients through foliar sprays and fertigation. All this care and attention adds up to produce the most flavorful and nutritious food ever! Our veggie production has just expanded into an area that we took over management of in the fall of 2016. It has been continually cover cropped and grazed since then. Early this spring, we sent in a soil sample for analysis. Our organic matter levels have risen from 3% to 3.5% since the previous test we took in the fall of 2016. However, the mineral imbalances haven’t changed. 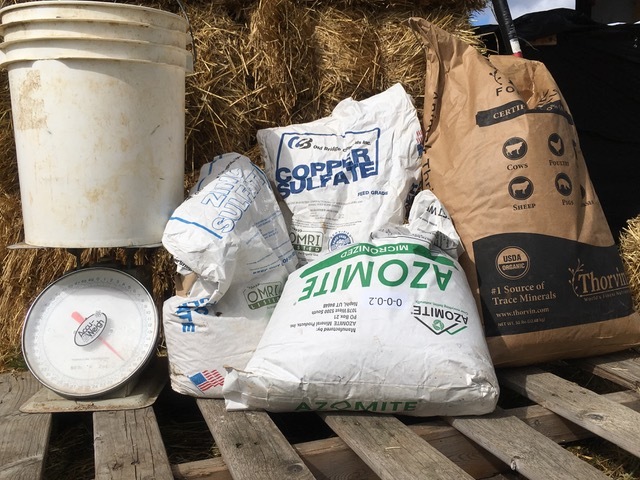 As we prep the soil for our summer crops we are spreading the minerals we need to bring our soils into balance according to the research and writings of Dr. William Albrecht. (More on him another time.) 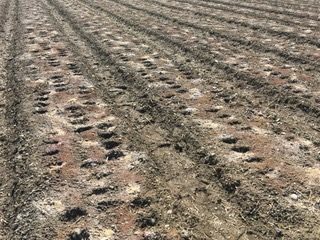 We don’t expect to achieve the ideal soil in just one season but are eager to shift our soils in that direction over time. The proof, of course, will be in the eating. Please join us! !